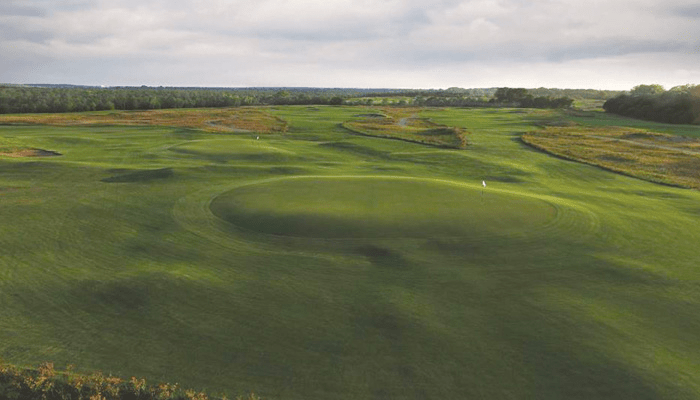 DALLAS, TEXAS – SMU Men's golf opened their season on Sunday by hosting a tournament at one of the most intriguing golf venues in the Dallas area. The Trinity Forest Invitational boasts a strong field of top 25 teams, hosting Auburn, Ball State Clemson, Florida, Iowa, Kansas State, North Texas, Oregon, Pepperdine, SMU, USC, Texas and Texas Tech. WorldLink was proud to serve as the inaugural sponsor. This is the first collegiate event held at the new Trinity Forest Golf Club, site of the 2018 Byron Nelson Tournament on the PGA Tour. WorldLink is happy to support this generation of student-athletes. "The WorldLink team appreciates how the game of golf leaves a positive impact on the individual, and we want to make that positive contribution into their lives," stated a spokesperson with the technology firm. "Additionally, golf is becoming more of an analytics-based sport and we are always driven by capturing data for use in unique ways. Lastly, the DFW area is rife with golf fanatics and we have always sought to blend the game with the opportunity to meet new people and give back to the community. When you add up those factors, our participation was a natural fit." The event kicked off with a Bar B Q on Saturday night, featuring players, coaches, and interested members of the DFW business community. The evening kickoff celebration included tours of the new state-of-the-art practice facility, several competitions, and an opportunity for avid golf fans to absorb the Trinity Forest property.